Samsung Electronics America has announced that it has been selected to supply Verizon with commercial 5G Fixed Wireless Access (FWA) network solutions. The two companies will begin by launching commercial 5G services in Sacramento, California in the second half of 2018. Last year, Samsung and Verizon began 5G customer trials across seven U.S. cities in early 2017, and have successfully tested and verified 5G performance using millimeter-wave (mmWave) frequency to provide FWA pre-commercial service. 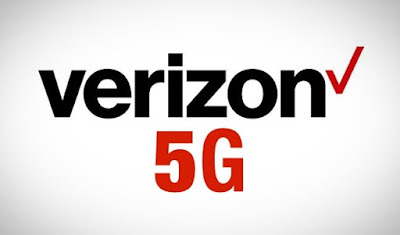 These trials were conducted in California, Georgia, New Jersey, Massachusetts, Michigan, Texas, and Washington D.C.
Samsung will provide Verizon with commercial 5G home routers (CPEs), 5G Radio Access Units (RAN) comprised of a compact radio base station and virtualized RAN elements, as well as 5G radio frequency planning services. To provide these services, Samsung has leveraged in-house technology and assets to develop the first commercial ASIC-based 5G modems and mmWave RFICs. Verizon and Samsung will continue to develop the use cases and applications of Samsung’s 5G technology.